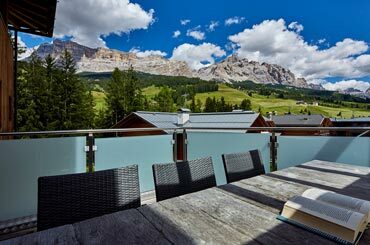 Alta Badia is located in the southern part of the Val Badia valley and it is organized around six little towns: Corvara, Colfosco, La Villa, San Cassiano, Badia and La Val. It is considered â€œthe heart of the Dolomitesâ€� with a spectacular landscape and the big contrast between the smooth valleys and the high peaks. 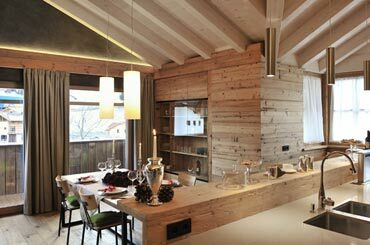 The ski choice is very wide because the Alta Badia area is connected to Sellaronda ski tour and with Cortina ski area. For those who want to visit the different ski areas it could be very interesting to dedicate an entire day to the Sellaronda Circuit (for expert skiers), both following the ski slopes from Alta Badia resort to Colofosco and make the clockwise circuit down to Arabba, Canazei passing through the famous Pordoi, then Passo Sella and Selva di Val Gardena, or drive to Corvara and enjoy the view of the PralongiÃ plateau and the Queen of the Dolomites: the Marmolada. 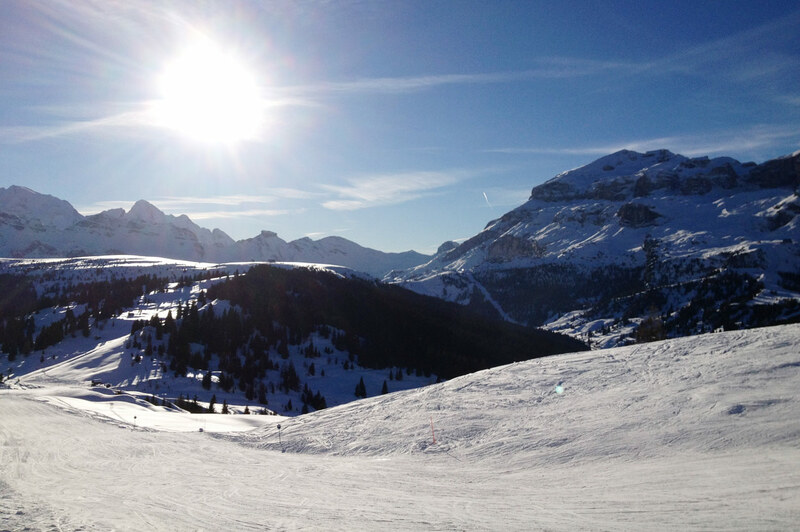 You will have the opportunity to try new slope every day, as the Sella ronda ski resort offers an endless selection of slopes for all Levels, a dream for any skier. Another day of ski can be passed in the Cortina ski resort connected to Alta badia from Armentola and 5 Torri ski resort, connected to the village by ski bus. The villages of all the valley are very pleasant and the choice of good restaurants and resorts makes the area very exclusive. It is the perfect occasion to try a few Michelin star restaurants and enjoy the winter markets in the villages squares. A good glass of vin brulÃ© to make the aprÃ¨s-ski warm and spicy.